In case you have been on Mars, Pluto, or in a no-Internet zone, you have missed a WHALE of an early free agency period in the NBA. LeBron is a free agent. Okay, not really. Dwayne Wade is a free agent. Speculation was that he would join LeBron in Cleveland. He did not. He stayed in Miami, the only home he’s ever known. There are countless others who are being courted, or who have already decided where they are going to play. To check out the full list, click here. Kevin Love, off the market. LaMarcus Aldridge, off the market. Goren Dragic, off the market. 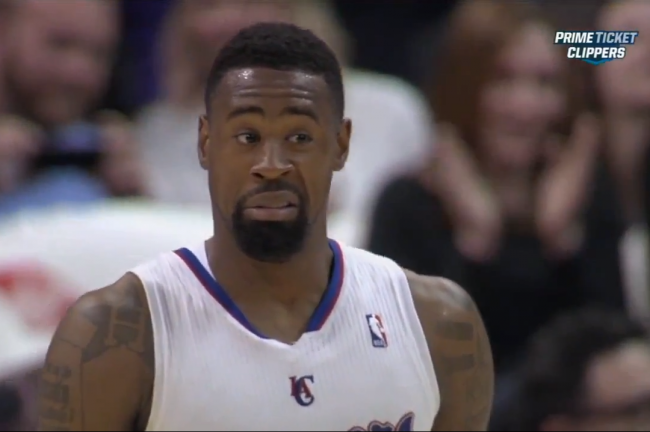 DeAndre Jordan, off the market. On the Market. Off the market. On? Off? Jordan’s story is one of intrigue, indecision and reneging on his word. According to the NBA Collective Bargaining Agreement found here: There is a specified time that teams can negotiate contracts BUT CANNOT SIGN them. The drama between DeAndre Jordan, the Dallas Mavericks, and the Los Angeles Clippers will surely change the landscape of this agreement. I would be surprised if this is still in effect next year. In essence, the player holds all the cards. For example, Jordan agreed verbally with the Dallas Mavericks to join them as a free agent signing. He was courted by several Dallas sports icons, including: Dirk Nowitzki, Chandler Parsons, Dez Bryant, Tony Romo, Jerry Jones and others. Ultimately, it was Jordan’s decision. In the NBA, verbal agreements mean nothing. In business matters, the only things that matter are signed contracts. Even then, they often aren’t worth the paper they’re printed on because of the “renegotiations” that occur. Let’s say Player A signs a 4-year deal. After one year, he has a monster season and demands more money. He already has a signed contract, a legal, binding document. However, he is allowed to threaten to sit out games or a season if he does not get a new contract. This is where we are in sports. In real life, you would be sued in court for breach of contract. For the purposes of this article, Jordan’s word was worth a $3 bill. It is within his right to do what he wants. It’s HIS life. His career. What he did to the Dallas Mavericks is both deplorable and juvenile, even for a 26-year-old. He held the Mavericks hostage, because once he agreed to terms with them, he locked up some $80 million dollars and change. Money they didn’t have to pursue others. By going back on his word, he hamstrung the Mavericks in every phase of the game. His indecision caused the Mavericks problems in going after other potential free agents. Granted, that was the Mavericks fault for not going after other big men once they thought they had landed their big fish. They let Tyson Chandler go. They let Monta Ellis go. They let Al-Farouq Aminu go. Thinking they got a good big man caused the Mavericks to pause and take a breather, and that will cost them dearly. His reported refusal to speak with Mavericks owner Mark Cuban to let him know he decided to return to the Clippers was nothing short of childish. As a man, he owed that much to a man who was willing to pay him a LOT of money. Because of this decision, the Mavericks have not only lost out on Jordan, but the wheels are likely set in motion for Rick Carlisle‘s exit, as well. Carlisle is on record stating that he will not stick around for a rebuilding session. This is a free country where we are free to choose what we will and will not do. Once upon a time, many moons ago, the Greatest Generation (baby boomers) did business with a handshake. To them, a man’s word was his bond. You did what you said, and said what you did. If you wanted to do something, no contracts were needed. Your word was as good as gold. Not anymore. 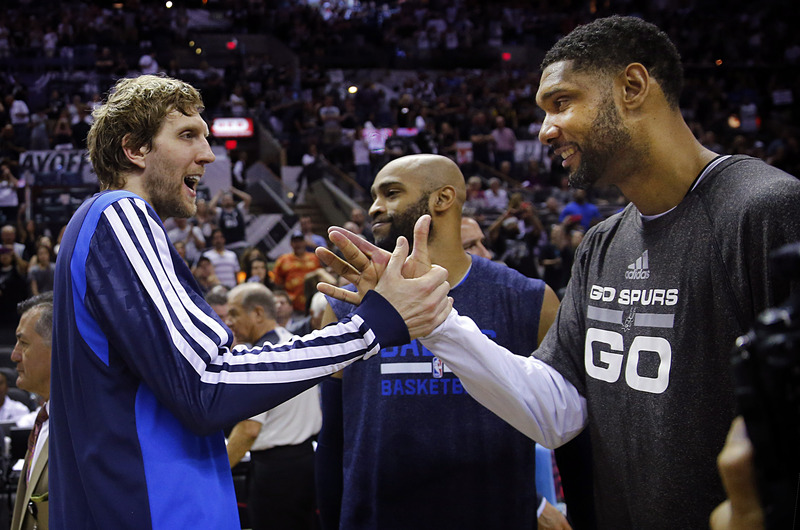 The days of true team players like Dirk Nowitzki and Tim Duncan are coming to a close. These two men epitomize class and respect for the game. Both men have made a lot of money and left a lot of money on the table so that their respective franchises can compete for championships. Take a step back for a moment and consider the most recent athlete to experience the ire of the entire DFW Metroplex. Bear in mind that this fan base really isn’t prone to boo. Only after exhausting their hopes and dreams will they resort to booing. 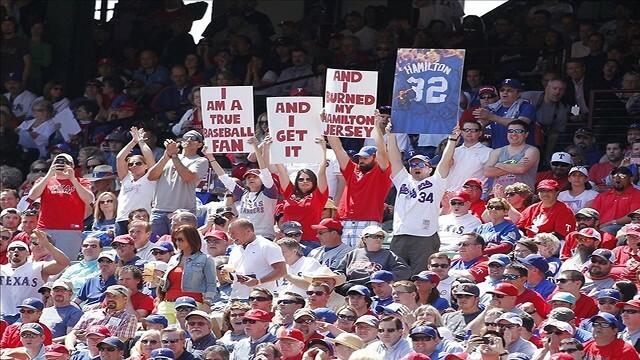 When Josh Hamilton played his last season for the Texas Rangers in 2012, he was by all estimations mailing it in. The strikeouts, jogging in the outfield, and lazy running to first base were all there for the fans to see, yet they did not boo. It wasn’t until he started making excuses for why he was not playing well that the tide started to turn, culminating in a remarkable moment in a game that would determine the 2012 AL West Champion. Hamilton dropped a fly ball in center field for a two-run error that gave the Oakland A’s a 7-5 lead in a six-run fourth inning. To make matters worse, he jogged after the dropped ball, with no concern or urgency. Fan anger began to bubble to a boil. Then in the one-game Wild Card Playoff, after his awful at-bats where he swung at everything in the air or in the dirt, the fans finally had enough and let the boos loose. As bad as that was, it didn’t compare to the booing he received when he came back to Texas with the Angels after he flippantly stated that Arlington was not a “baseball town.” The booing he received as an Angel was incredible. I was at a game and could not believe it. Not even Alex Rodriguez got that much hatred. Josh Hamilton‘s experience will pale in terms of what DeAndre Jordan will get. I shudder to think of how that will sound in an enclosed stadium. Heaven forbid if he has to make free throws to win the game. It appears that he did NOT want to “be the man” in Dallas, but is perfectly happy being the “third option” behind CP3 and Blake Griffin. Right now, I am sure Steve Ballmer, Doc Rivers, and CP3 are all removing their red noses and clown makeup. After all, this is the NBA circus. Ronnie Garcia is the Voice of Reason at The Scoop. He is also an avid guitarist, educator, and all around smarmy guy. Ronnie co-hosts The Fanatics on Monday nights from 7-9pm on KTSR-db. You can follow him on twitter @TheRonMann.